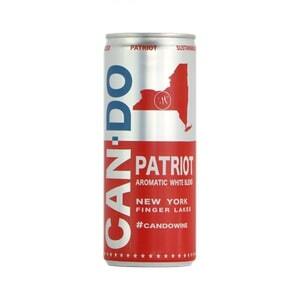 A blend of Traminette, Cayuga, and Valvin Muscat, Patriot is a take on an Alsatian blend, but with regional grapes developed by Cornell. Finished off dry with 1.5% residual sugar, this blend offers copious notes of pear, mango, and citrus. Finished with just a bit of CO2, the wine has a lively spritz that makes its perfect for picnics, outdoor activities, and warm summer evenings. Enjoy with grilled chicken, crisp garden salads, and 4th of July fireworks.